The brutal truth is: it can be a combination of all of these things. Luckily, this won’t be the case for every property in every market in every cycle. How Can You Become A Successful Commercial Real Estate Agent? The following three tips will help anyone considering this path to think more deeply about why they want to pursue being a commercial real estate agent as well as help them focus on what is important in order to achieve any level of success. Nobody that is brand new to the industry (without existing connections) will be doing deals across state lines. For that matter, no new commercial real estate agent in the industry will likely even be doing deals across different cities within the same county. In order to convince people that you are qualified to advise them on their investments (both investments of time and money) you need to be an expert, or at least on your way to becoming an expert. You need to know what areas of town are safe, what areas are busy with car traffic, what areas are busy with foot traffic, where people are going to hang out and spend money, what properties have specific zoning designations, etc. That is why many commercial real estate agents who do business in the cities in which they were born and raised often have an advantage above other agent who are new to a certain locale. 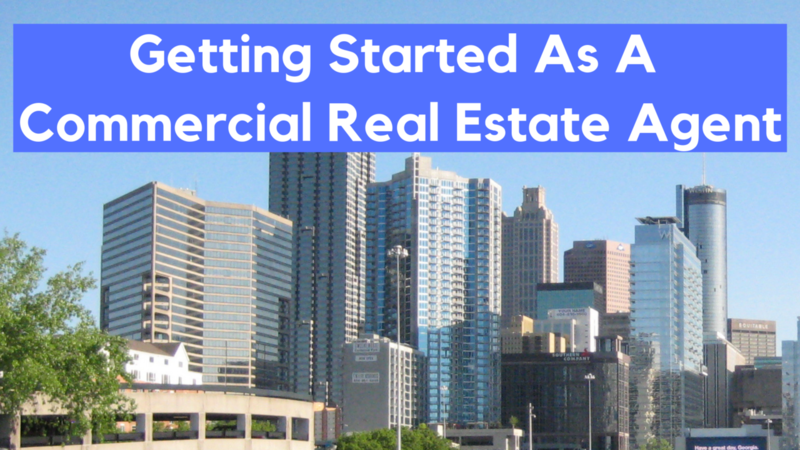 When I first began my career as a commercial real estate agent, a residential agent asked my senior broker, “what is commercial real estate?” His answer was simple, “anything that is not a house” which is true. However, this is an elementary answer and the definition of Commercial Real Estate goes much deeper than that. What I came to learn was that this simple answer was indicative of why my senior broker was NOT a top producer. He did not have a focus on a specific product type. Listed below is a short list of the most major commercial real estate product types. This list is not exhaustive and many agents and investors further segregate one property type from another, but the main point to understand is that Commercial Real Estate has many different sub markets all of which will have experts that YOU will be competing with. So which product type do you pick? The answer will depend on your WHY for being in the industry as well as where your interests in business are. For example, Industrial real estate agents deal with LARGE buildings and companies who need A LOT of space. These can include warehousing companies, distribution companies, automotive uses, and also dirty or noisy uses who do not need a public facing presence. Often times the geographical location of these properties are not as desirable, the construction is much more basic and therefore the rent/SF and amenities are MUCH lower. Another example on the opposite end is retail. These buildings often have more extravagant construction with a focus on detail, location, traffic, etc. These properties need to be public facing where the vehicle/foot traffic is high and where people want to hang out. Therefore, these rents are much higher and landlords often have more control over who they are willing to lease to. These are only two examples of many more, but they helps illustrate how different one commercial property can be from another and why focusing on a specific product type in a specific location is extremely important as it will allow you to more quickly learn your market. One of the most difficult challenges of being a commercial real estate agent is marketing. For context, you are not necessarily targeting Males 18-35 years old in a specific location at a specific income level with a specific interest which allows you to create and blast out a general message to a mass audience in hopes of getting a response. Instead, you may be marketing to an 18 year old female who was heir to a legacy property, or a 75+ year old man who was a commercial real estate entrepreneur his whole life, or anywhere in between those spectrums. One simply cannot know who they are marketing to until they begin to learn their market and find out who owns what, where, why, for how long, and what their thoughts are regarding their investment. This makes it nearly IMPOSSIBLE to send out blanket marketing materials that convey the same message to all owners. One of the most intimidating challenges I faced when starting out as a commercial real estate agent was that I knew whoever I was speaking with likely knew more about their property, market, etc than I did, and would easily be able to sniff out my lack of experience. This is why you cannot be all things to all people and why you MUST have some kind of focus, be it a product type, location, focus on landlord rep, or tenant rep, etc. The hard scary truth is…YOU MUST COLD CALL, and you must do it repeatedly for years in order to learn what is going on in the market. In 2019 this may seem like a dinosaur marketing strategy, however as a commercial real estate agent in Southern California, I can attest that it has brought me more business than nearly any other method of marketing and allowed for the quickest sales cycle compared to any other form of communication. I believe this fact alone is what drives the failure rate of commercial real estate agents into the mid 90% range. Get used to “dialing for dollars” and learn to ENJOY the rejection. Every NO gets you closer to a YES! These three pieces of advice may seem incredibly basic, however if you focus on choosing a market that you can effectively compete in and a product type that you are passionate about you will have much more success than the average commercial real estate agent. Just remember, it won’t mean anything unless you get out there and market yourself. Send your letters, your emails, AND MAKE YOUR CALLS! This article was written by Kyle Erthner, VP of UrbanCalifornia. 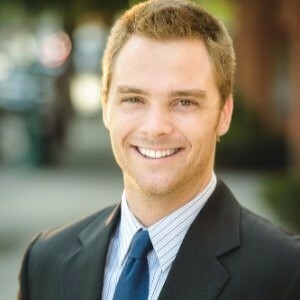 UrbanCalifornia is an independent commercial real estate firm located in Downtown San Diego. Connect with Kyle on Linkedin & Instagram.